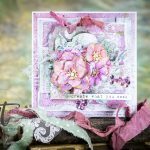 What I love Spellbinders dies for most – is the ability to use them beyond just simple die cutting. With our dies one can also emboss and stencil and this is exactly what I did to create the project I am sharing today. My video on this Clean and Elegant Easter Egg Card is towards the middle of my post so please watch! I started working on my card by die-cutting several egg shapes out of white cardstock. I used border die for some and combined border with the decorative insert for other. 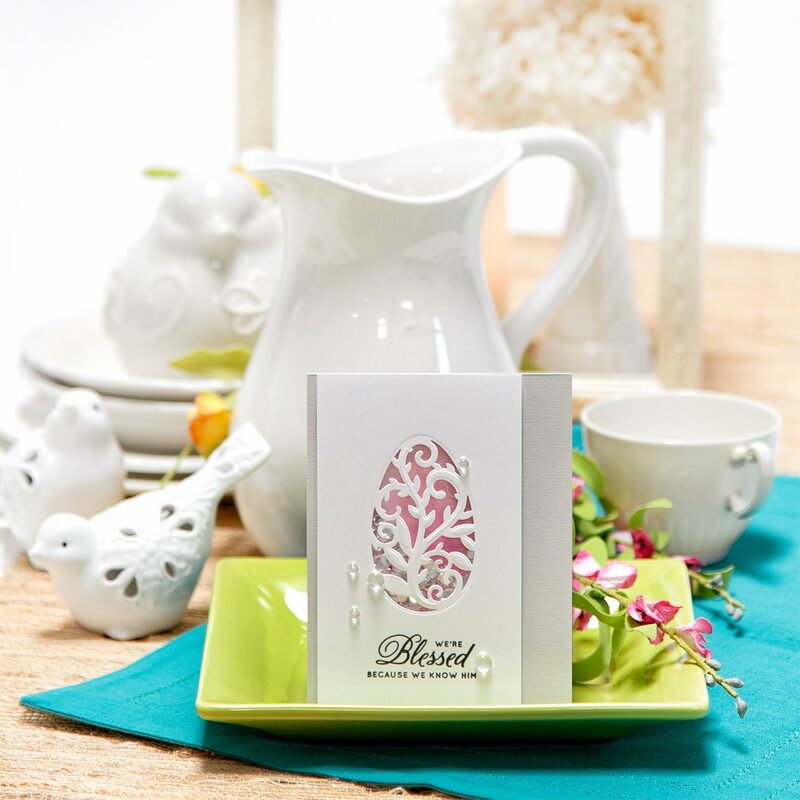 When you combine insert with the border you get a beautiful filigree egg that can be also embossed. After embossing I kept the die cut in the die and lightly blended ink through the die to add a hint of color to my piece. I also used same ink color and blended ink onto a solid shape. I used a heavier hand and in some cases used a darker shade of ink to do my ink blending. 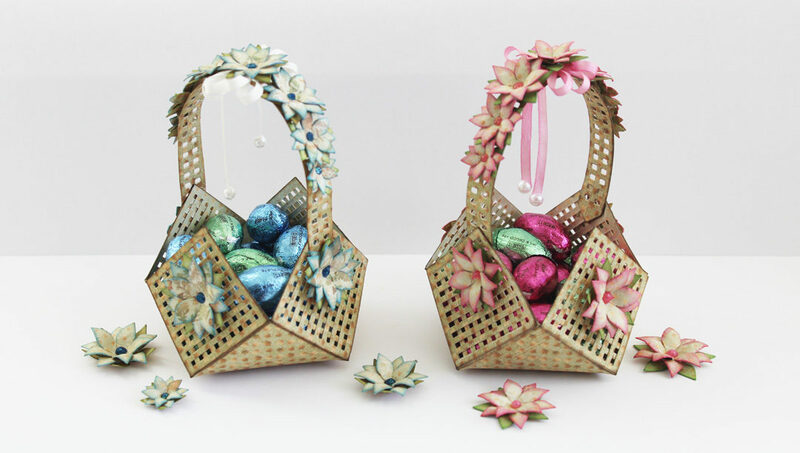 Next, I adhered filigree die cut onto solid to create one beautiful Easter egg. I went with traditional Easter colors and used soft pink, soft blue and soft green colors. I stamped a sentiment that reads “God is our refuge & strength” in black ink and foam mounted it over the egg cluster. I enjoyed working with this die so much, I made several additional examples. 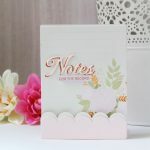 The pink & gray card below is a shaker – filigree die was cut in a white cardstock panel and a formed into a simple shaker. I also added pink ombre ink blended panel behind the shaker window for additional interest. 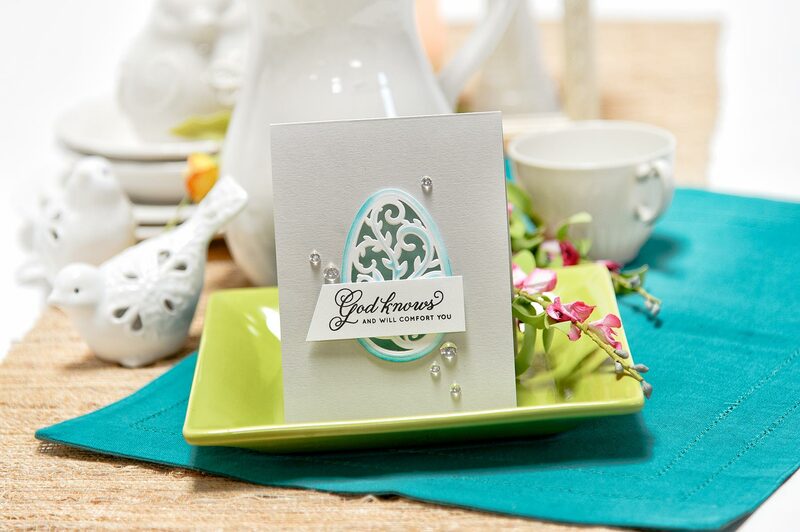 Here’s another example of a card I made using the Filigree Egg die – a window card. 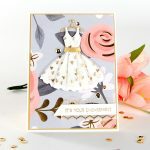 After creating an A2 top folding card base I used a filigree insert and cut it in the front panel only (be sure to open your card base when cutting to only cut through the front). Next I combined both filigree and solid dies and created a white die cut out of cardstock and another one out of double sided adhesive fun foam. After blending light blue ink onto the white cardstock die cut I adhered it onto the card. There’s a lot you can do using Spellbinders dies. Don’t be afraid to experiment and play! Have fun die cutting!